In December last year, a YouTube video of Bishop Oyedepo viciously slapping a young lady who admitted that she was "a witch for Jesus" during an altar call went viral on the internet. A second video that surfaced days later showed the bishop justifying his action adding that it is "his ministry to slap" and that "if he sees another witch, he'll slap." 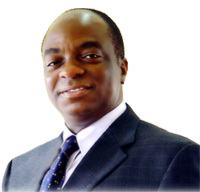 However, from the preliminary objection filed yesterday, Bishop Oyedepo is saying he did not slap anyone. Read the full report by saharareporters on the link below.